This month we are heading to a different part of the city and meeting at Gas Works Brewbar in the popular First Street district of Manchester. 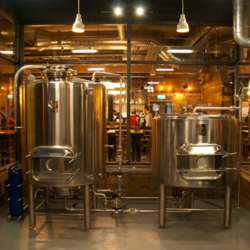 Situated right next to Home cinema, this spacious industrial bar specializes in guest keg, cask and home brewed beers, and also features an in-house brewery and two SHUFL tables for the guests which we're offering for FREE for a limited time! Don't worry though, if wine or soft drinks are more your thing, they've got you covered too! So spread the word, bring friends & colleagues and join us for a fun night with fellow global minds!